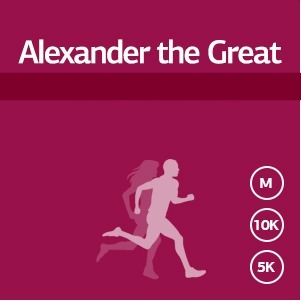 The International Alexander the Great Marathon is the second best marathon race in Greece after the Athens Classic Marathon and ideal for great records, due to its’ small altitude fluctuations and the long straight street. Runners will enjoy a fantastic route as they start from Pella, in front of the historic statue of Alexander the Great and they finish at the White Tower, the landmark of Thessaloniki standing on the city's waterfront. Welcome to the International "Alexander the Great" Marathon one of the most popular and fastest marathon races in Greece. It is a race of low difficulty, ideal for a personal best! Its main characteristics are the small altitude fluctuations and the long straight street that make it ideal for great records. The race starts from Pella, in front of the statue of Alexander the Great and it finishes at the well-known White Tower in the seaside of the Thessaloniki. If you are not ready for a marathon yet you can participate in the 10K or the 5K road race! The finishing line of all races is in front of the White Tower one of the hot spots of Thesaloniki! Marathon, 10km, 5km and 1000m for Primary School Students & Social Offer races will be conducted that day. As far as the 1000m race is concerned, which is dedicated to the environment, people of any age can participate, and contribute to the social objective of the race. From Pella to Thessaloniki; Thessaloniki (520 km. north of Athens) is the second-largest city in Greece and the capital of the geographic region of Macedonia. The Marathon race starts at the Central Square of the Municipality of Pella in front of the statue of the "Alexander the Great". The 10Km Road Race starts at the Municipal Stadium of Ampelokipi. The 5Km Road Race starts at Central Ampelokipi Square. 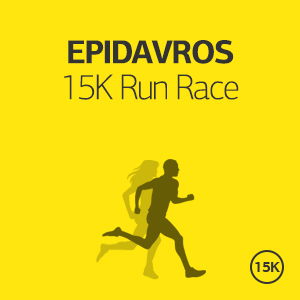 The 1000m Road Race of Primary School Students and Social Offer starts at Nikis Avenue, at Aristotelous Square. All races finish at Thessaloniki coast line – White Tower. Because it is the best way to explore one of the most interesting, exciting and historic cities. Thessaloniki's history spans some 2,300 years. An important metropolis by the Roman period, Thessaloniki was the second largest and wealthiest city of the Byzantine Empire. Thessaloniki is home to numerous notable Byzantine monuments, as well as several Roman, Ottoman and Sephardic Jewish structures. In addition to its historic roots, Thessaloniki is also a very popular tourist destination in Greece. In 2010, Lonely Planet ranked Thessaloniki as the world's fifth-best party city worldwide, comparable to other cities such as Dubai and Montreal. The National Geographic Magazine for the year 2013 included Thessaloniki in its world’s top tourist destinations. It is also a very lively city with numerous cafes, bars, restaurants and numerous attractions. 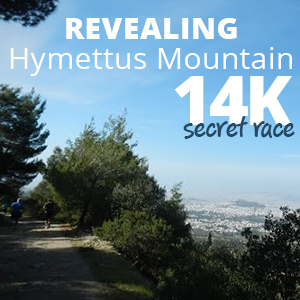 In addition to the above the event itself is one of the most popular in Greece and its flat route is ideal for achieving a personal best! 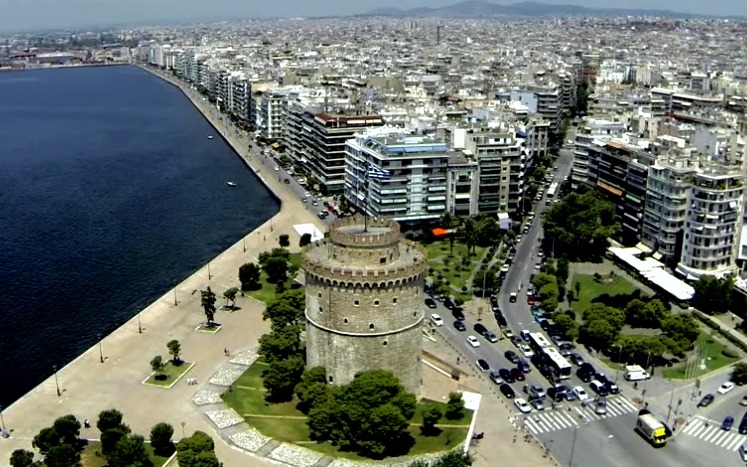 All routes are crossing the center of Thessaloniki and finish at the famous White Tower. Contact us and we will make you an unbeatable offer to suit your needs and preferences. We offer several options varying from short weekend breaks in Thessaloniki including your entry to the race, to a full vacation plan in Thessaloniki and the surrounding area! The race is organized by M.E.A.S. TRITON under the aegis of Hellenic Association of Amateur Athletics (SEGAS), the support of Thessaloniki’s League Athletic Clubs S.E.G.A.S. and the Municipalities of Pella, Thessaloniki and Ampelokipi – Menemeni. Registration is open until Friday 24th of March 2019 or until a specific number of applications is reached. Participation can be obtained via online registration. The Marathon route is of low difficulty. Its main characteristics are the small altitude fluctuations and the long straight street that make it ideal for great records. Some other characteristic features are its constant east direction, the long straight street and the limited inhabited areas which it crosses until almost the 30th kilometer. The race starts from Pella, in front of the statue of Alexander the Great on horseback, hardly a km from the homonym archaeological site, and some 43 meters above sea-level. After the first km of downhill road, the athletes get onto the Thessaloniki-Edessa highway, following it for another 8 km, until they reach Chalkidona. At the 8th km the athletes enter the city of Chalkidona. 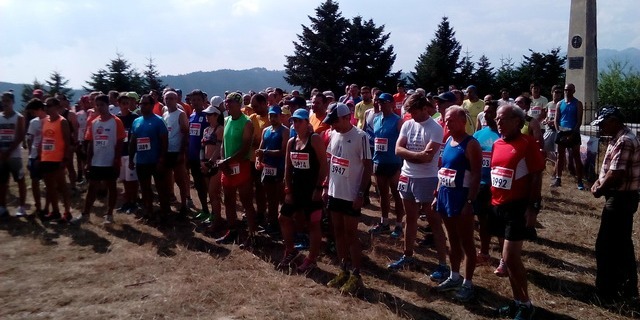 At the 9th km they meet the junction Veroia and Thessaloniki. After Chalkidona they leave the 10th km. At the 13th km the road passes through a bridge over the Axios River. The 15th km is before the village Gefyra. The 17th km is at the second exit of the Gefyra village. The 20th km is right after the exit for Agios Athanasios at the national highway. The 25th is a little after the crossroad of Nea Agchialos. The 27th km is at the height of the Greek smelter company "Sidenor". The 28th km passes over Gallikos River. Precisely after the 30th km the athletes pass by Ionia (Diavata) and in front of the the premices of EKO, the Greek Petroleum Company (at the 32th km). The 35th km is in the center of Kordelio, in Monastiriou Street. At the 38th km the athletes turn right in Giannitson Street. At the 39th the runners turn right in Dafnis Street and then left in Kountouriotou Avenue. The 40th km is at the Court of Thessaloniki. The 41st-41st km is in Nikis Avenue. The finish is at the White Tower. Along the Marathon’s course there will be 15 Refueling Stops (support stations) for the runners just from the 5Km. Bottled water will be given at the start, at the finish and at every 2.5Km as well. Isotonic drinks will also be available at the following stations: 10Km, 15Km, 20Km, 25Km, 30Km, 35Km, 40Km. Water and sponges will be available at the following stations: 7.5Km, 12.5Km, 17.5Km, 22.5Km, 27.5Km, 32.5Km, 37.5Km. After the 5Km (and every 5Km) runners can have their personal drinks and supplements. The feed zone at 40Km will offer bottled water for the runners of the 10Km road race. Finally, at the finish runners will be offered bottled water, isotonic drinks and bananas. There are Km-markers at every kilometer during the course. Medal Awards (medals and certificates) will be awarded to the first three winners of each race for both Men and Women. Commemorative cup will be awarded only to the first Man and the first Woman winner of each race. Commemorative medals and electronic participation diploma will be given to all the runners who finish the race. The Simple offer is addressed to those who wish to come and stay in Thessaloniki on their own. It starts from €80 per person (runner or not) for a two days/one-night accommodation in a 3star or equivalent hotel. If you wish to stay longer, you may add as many nights as you want for an additional €35 per night per person. This offer is ideal for those who want to experience Greece the “running way”, and get the most out of their visit in Thessaloniki. We have planned the perfect weekend city break. It starts from €80 per person (runner or not) for a two days/one night accommodation in a 4star hotel or equivalent. If you wish to stay longer, you may add as many nights as you want for an additional €50 per night per person. It starts from €120 per person (runner or not) for a two days/one night accommodation in a 5star hotel or equivalent. If you wish to stay longer, you may add as many nights as you want for an additional €75 per night per person. This offer is ideal for those who want to experience Greece and get the most out of their visit in Thessaloniki. We have planned the perfect 4 days city break. 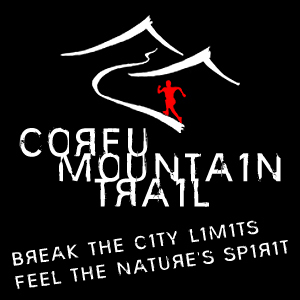 It starts from €290 per person (runner or not) for four nights accommodation in a 4-star or better hotel or equivalent. If you wish to stay longer, you may add as many nights as you want for an additional € 50 per night per person. Please tell us all your requirements and preferences, how many days you want to spend in Athens, what other places you wish to visit, activities that you would like to book, and we will come back with a tailor-made offer specifically for you! Thessaloniki (520 km. north of Athens) is the second-largest city in Greece and the capital of the geographic region of Macedonia. In 2010, Lonely Planet ranked Thessaloniki as the world's fifth-best party city worldwide, comparable to other cities such as Dubai and Montreal. For 2013 National Geographic Magazine included Thessaloniki in its top tourist destinations worldwide. In 2014 Thessaloniki will be the European Youth Capital. It is a city of diverse beauty and hospitable people. Built near the sea (at the back of the Thermaïkos Gulf), it is a modern metropolis bearing the marks of its stormy history and its cosmopolitan character, which give it a special beauty and charm. Thessaloniki has always been a crossroad of civilizations, a place where the East and West meets, where great cultures and religions have been mixed. Gastronomy, events, world-class heritage sites, shopping are some of the things that visitors can indulge in. Some of the enduring symbols of a glorious history that visitors should not miss are the White Tower, watching over the cafe-lined waterfront, erstwhile Ottoman hammams (Turkish baths), many turned into art galleries, and lengthy Byzantine walls culminating at the Ano Poli (Upper Town), an enchanting neighbourhood of colourful old houses, where little Byzantine churches peek from winding alleyways. Thessaloniki’s grand-scale structures include the 5th-century Church of Agios Dimitrios, the enormous Roman Rotunda, and Roman Emperor Galerius’ 3rd-century palace ruins. Thessaloniki offers the best nightlife, shopping, fine dining and cultural events outside of Athens and also the distinctive student vibe is an integral part of its charm as the city hosts around 80,000 university students. The compact size of the city and the walking distance proximity of the top-attractions make Thessaloniki an ideal city-break destination. Thessaloniki thus remains lively during the long months when the more touristy parts of Greece hibernate. And, though one could easily spend weeks here, Thessaloniki and its sights are compact enough for travellers with only a few days to spare.